ONI Bureau: Jharsuguda MLA and former Congress leader Naba Kishore Das on Thursday joined the ruling Biju Janata Dal (BJD) in the presence of Chief Minister and BJD supremo Naveen Patnaik in Jharsuguda. 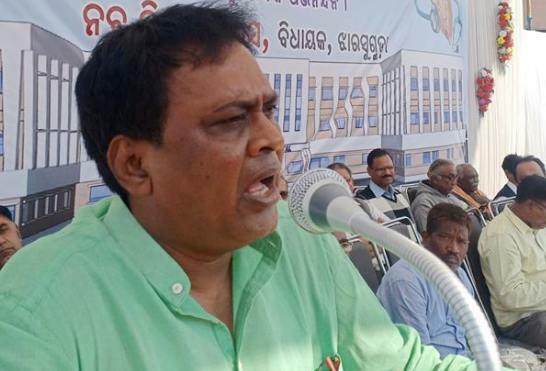 Notably, Naba Das has resigned from the primary membership of Congress on January 16 and announced to join the BJD, saying that people of Jharsuguda have requested him to fight as BJD candidate in the forthcoming general elections. Das was welcomed by the BJD supremo to the party. Meanwhile, after joining the BJD, Naba Das has written a letter to Odisha Assembly Speaker, expressing his intent to resign as an MLA.